Wrecking a super car probably ranks high on the worst feelings in the world list. 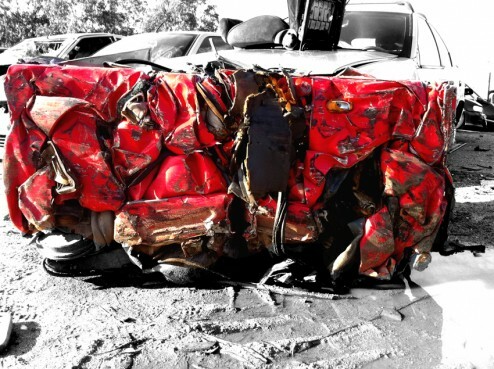 However, the wise designer Charly Molinelli has a solution — just recycle the totaled car. 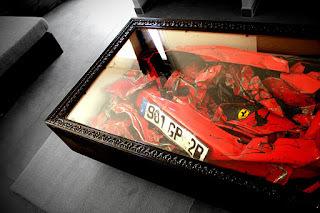 The "Crashed Ferrari Table" is just as you'd imagine, the body of a crushed vehicle stuffed into a wooden box and covered with a glass pane. Expensive. But, at least you've got memories left. Molinelli says that the total cost to recycle and create the coffee table was about 10,000 Euros or about $13,500.